It’s that time of year again: Thanksgiving! What are you thankful for? An exciting new job opportunity? Good friends? Precious time with family? For most of us, a visit to the hospital would not top our lists of things to share around the table. For Kyle and his family, though, Kyle’s visit to the hospital is something they are most thankful for! 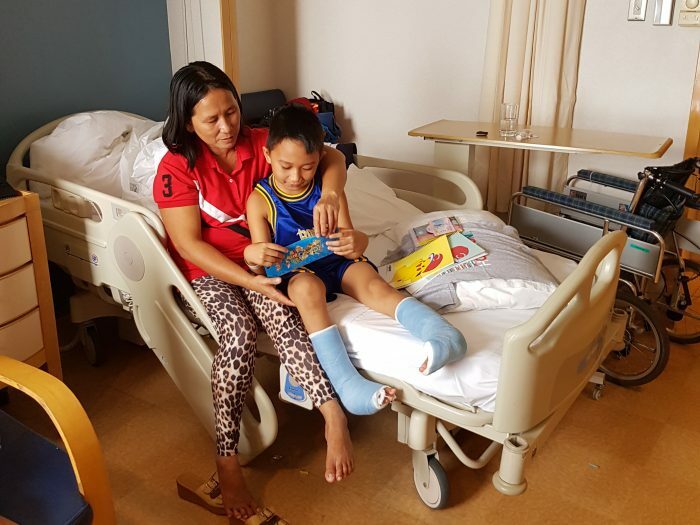 Seven-year-old Kyle was born with clubfeet, bringing many challenges to the young boy and his family. Although he had big dreams of being a soccer player, his twisted feet made that dream very unlikely. But in May 2018, #TheGiftofOpportunities came to Kyle and gave him the hope of having a life-changing foot surgery. 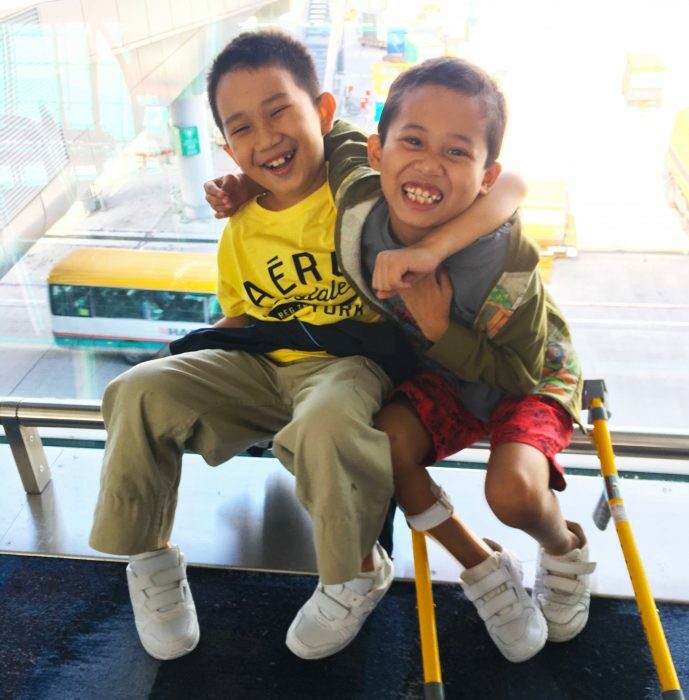 A generous ICM donor brought Kyle to Matilda International Hospital in Hong Kong for his initial surgery. He is now scheduled to come back in early December for his final corrective surgery. His dream of running on a soccer field in some shiny cleats may actually come true! “It was a huge relief to our family seeing that Kyle will not endure the difficulty of having his feet bent inwards his whole life. He’s not being bullied anymore!” Daisy, Kyle’s older sister, shared. “Before, Kyle could not wear shoes or sandals and couldn’t even wear flip-flops properly. Seeing Kyle able to wear shoes is such a joy for our family. He’s developed the confidence to interact with other kids, and that gives me more time to work. Now I can help my husband provide for our family. We are thankful to God for all your help, ICM and sponsors,” said Josie, Kyle’s mother.